“A honky-tonk, beer-swilling festival.” That’s how Pompano Beach resident Lou Stern described the Pompano Beach Seafood Festival to the Sun-Sentinel…back in 1996. I don’t think he meant it in a good way. Way back in 1988, uptight snowbird Bill Hennes, of the Jamaica House condo proclaimed “The beach is for people to have a picnic or be with their families, not for people to have a festival“. In the same article, Don Wich, then organizer of the festival said moving it off the beach “…would kill the festival”. Hennes went to a quieter place in 1992. Yet the raging discussion as to where to locate the world (county?) famous event continues. As you may have heard, this year’s celebration will be held April 26-28 at the Community Park/Pompano Beach Amphitheatre area off of Federal Highway, over a mile from the beach. Debates about where to locate the party are nothing new. The festival started in May 1985 as a two day off-shoot of the long established Pompano Beach Fishing Rodeo. It was a relatively low key affair that year, located on East Atlantic Blvd. leading up to (but not technically on) the beach, but quickly grew. By 1989, the event had expanded to include concerts on the beach. In 1990 and 1991 it became a three day event and separated from the Fishing Rodeo by moving to its now traditional weekend in the end of April. By 1994, national recording acts (the Lovin’ Spoonful) were a part of the festivities. Over the years musical headliners have included: The Drifters, Grass Roots, The Rascals, Sam (without Dave), the Starship, Little Anthony, Blood, Sweat & Tears, Paul Revere and the Raiders, the Turtles, Badfinger, Steppenwolf, Eddie Money, Gin Blossoms. Grand Funk, America, Loverboy, and .38 Special. Many groups have played the beach stage two and even three times, including this year’s top bill, Guess Who (the band, not a misplaced trivia question). Many have said they found it to be one of the most fun performances of their tour because of the crowd and the locale. Crowd estimates from the early years ranged as high as 200,000 attendees, which of course is not really possible. More realistically, the three-day party has attracted around 30,000 people, give or take, from early on, up until today. The debates of the value of the celebration versus the inconvenience it causes beach front neighbors has been an on-going battle since the beginning. (For the record, I live right by the location, am totally inconvenienced each year and wouldn’t have it any other way). Now, supposedly due to construction of the Fishing Pier and the Oceanic restaurant, the event HAD to be moved according to Facebook posts with the intent to bring it back to the beach next year. Many comments on Facebook have been against the relocation and included many sad face emojis. Others have been more positive, excited about the improved access and parking among other benefits. Mayor Rex Hardin also confirms the intention to return the fun to the beach in 2020. He told me, ” I am hopeful that we can get the festival back to the beach area, it’s historic home, for next year and in the future.” Let’s hope that happens. The new location is fine. It’s a very nice park and a terrific home for concerts. But it is not the beach. As one Facebook poster said, if it’s not on the beach, “It might as well be in Margate”. Hardin also added, ” The Seafood Festival is not just a great party, it is a great community event that has brought in tens of thousands of dollars for many of our local charities.” An important point to keep in mind. Before there were million dollar condos, fancy restaurants or four-star hotels in Pompano Beach, there was The Pompano Beach Seafood Festival. 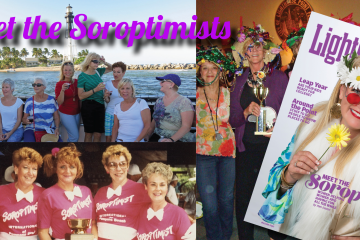 It is one of the longest lasting and most popular events in our city. It may not be P. Diddy’s White Party in the Hamptons but it has its own special charm. Yeah, some people probably drink too much and the crowd is not made up of the Fort Lauderdale yacht set but it is a whole lot of fun. People get a little crazy, but not too crazy and it is one of the things that has always made Pompano Beach special, even when there wasn’t much else going on here. It would be a shame if, in an effort to “upscale” the city, this unique event somehow gets phased out because the “New Pompano Beach” doesn’t find it to be a worthwhile and desirable event anymore. Let’s all keep our fingers crossed that our town still has a place for the “honky-tonk beer swilling festival” the late Mr. Stern complained about decades ago. EDITOR’S NOTE: This story was updated on 4/1/2019 to add comments from Festival promoter John Goode and to clarify the official position of his company, Goode Event management. 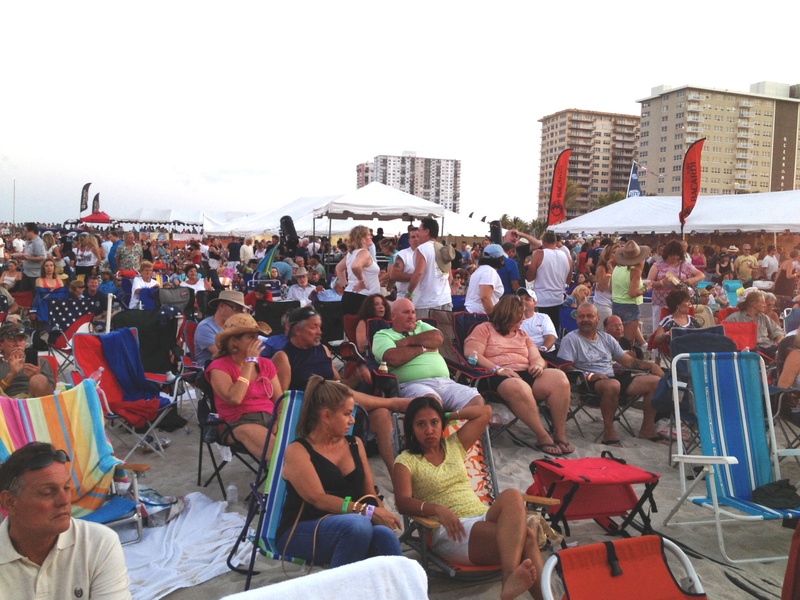 A big crowd enjoys the Pompano Beach Seafood Festival when it was on the beach.